Migraines are a neurological condition known for presenting with recurring pounding or throbbing head pain, nausea and vomiting, and sensitivity to light, sound, and strong smells. Head pain is often one-sided, but can also occur bilaterally. The headache portion of a migraine is moderate to severe in intensity, and the pain is often made worse by physical activity. A third to a fifth of those with migraines experience aura. This involves a short period of visual disturbances before the actual migraine begins. Some may just have an aura with no head pain to follow, but this is extremely rare. Here 10 interesting facts about migraines. After discussing them, we will take a closer look at what you can do if you suffer from this extremely common condition. Migraines rank as the third most prevalent illness in the entire world. Out of every 4 households in the United States, 1 has someone who gets migraines. A shocking 12% of the population experiences migraines including men, women, and children. Migraines affect 18% of women, only 6% of men, and 10% of children, making women the group that has the most migraines. About 28 million women in the US get migraines. Half of these women have more than one migraine per month. As children, boys suffer from migraines more than girls. This changes when adolescence gets closer. At that point, girls have more migraines than boys. Around 10% of school-aged children get migraines. Kids who experience migraines statistically miss twice as much school as those without. Those suffering from migraines often are afraid to schedule events with the family or with friends because they never know when a migraine will occur. This negatively affects relationships and social interaction. It is estimated that more than 50% of people dealing with migraines remain undiagnosed. This may be due to the fact that the majority of those with migraine pain do not seek medical attention. In fact, only 4% of those with migraines seek care from a pain or headache specialist. Patients who experience migraines are at a higher risk for depression, anxiety, and suicide attempts. Also, having migraines increases the chances that you may develop certain cardiac conditions like hypertension (high blood pressure). Menstrual migraines occur up to 2 days before and 3 days after a woman’s period begins. 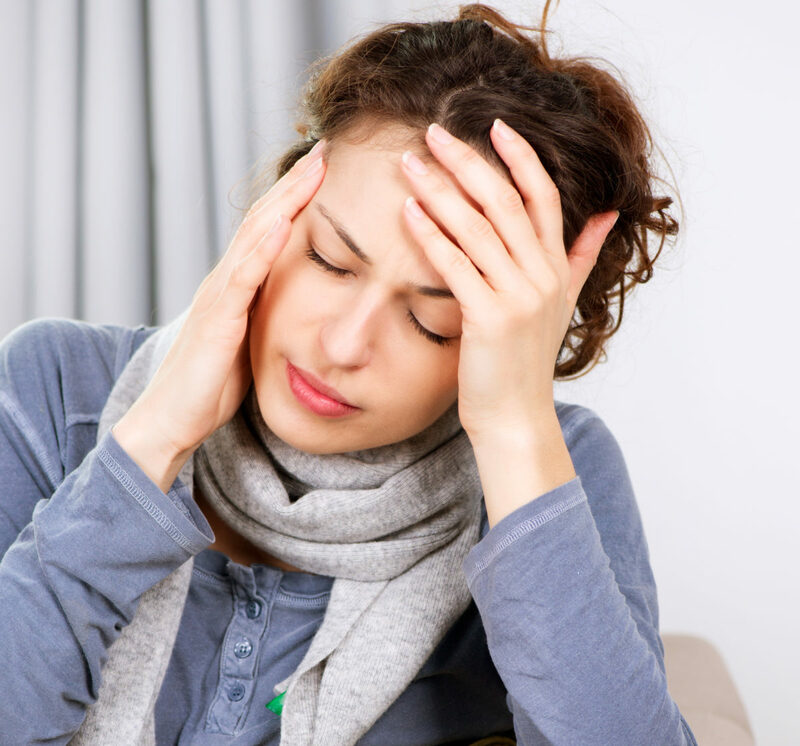 This type of migraine is more severe and harder to care for than other kinds of migraine. 60% of women who get menstrual migraines also have migraines at other times during the month. Migraines are neurological in nature and can be extremely disabling. Around 15-20% of attacks are accompanied by other neurological symptoms before the actual head pain begins. A common migraine can last from 4 to 72 hours. When an ER trip is caused by a migraine, various tests may be run to determine whether the condition is due to a serious underlying issue. These tests are time-consuming, expensive, and often do not provide any answers. Most of the time, over-the-counter or prescription medications are provided to help a patient with the pain until it subsides, but these medications provide no long-term benefits in coping with migraines. Most of those with migraines will experience an episode about once or twice per month. However, those who experience chronic migraines deal with at least 15 days with symptoms each month. Chronic daily migraine is often accompanied by depression, anxiety, and sleep problems. At least 88% of chronic migraine sufferers have another condition in addition to migraines, such as bipolar disorder, hypertension, or arthritis. And 20% of chronic migraine sufferers are disabled by the condition. You may have found some of these facts to be quite shocking and maybe even somewhat disturbing if you or someone you love is suffering from migraines. However, we would like to offer you some hope that there may be a better way to deal with migraines in a natural and long-term manner. A series of case studies were conducted involving 101 migraine and headache patients by an upper cervical chiropractor. She noted during her research that, after receiving upper cervical care, all of her patients experienced at least some benefit. They all had fewer headache days, and some even saw complete resolution of daily migraine or headache problems. Several patients saw results after just one or two visits. What exactly is upper cervical chiropractic care? It differs greatly from traditional chiropractic because we do not pop or crack the spine in order to achieve results. The method we use is very gentle and not at all painful. We take precise measurements of the upper cervical spine using the latest diagnostic technologies. We then tailor the adjustment to each patient’s needs. Adjustments performed in this manner are long-lasting, so we only adjust a patient on an as-needed basis. If you are experiencing migraines, especially if you have any history of head or neck trauma, call The Head and Spine Pain Center to today to schedule a no-obligation consultation.